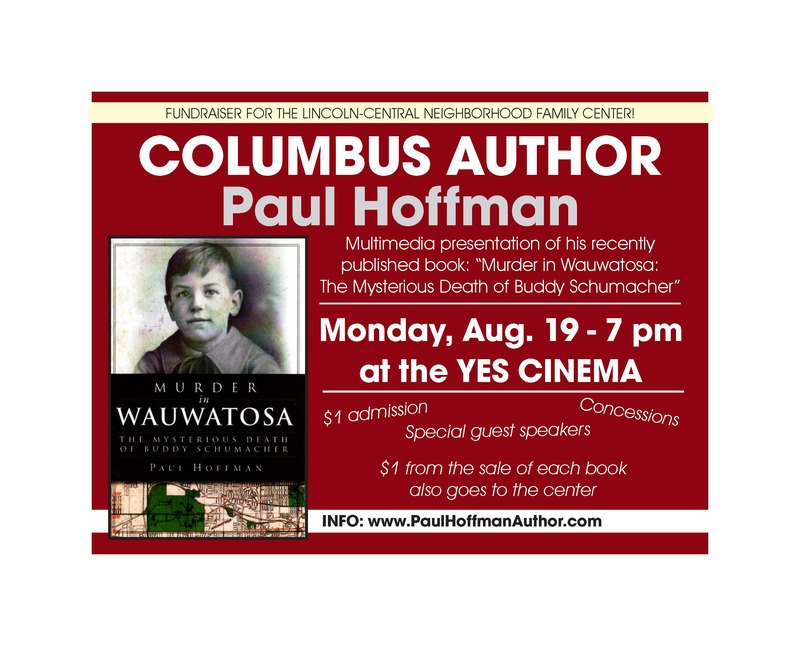 Here is the poster we’ll be using to promote my program at the Yes Cinema in Columbus, Indiana, on August 19. You’ll be seeing it around Columbus soon. And you should start seeing it on-screen before movies at the Yes in the near future. There’s already one in Out of the Blue Finds, a neat little antique store at 1604 Central Ave., Columbus. Autographed books are also available for purchase there. Thanks, Bonnie! Out of the Blue is located next to Kramer’s Restaurant.